The days are getting longer and warmer, and thoughts have turned towards the summer. Time to start unpacking your bathing suits and flip-flops, and start planning for some long and lazy beach days. I love everything about the sea, well, almost. Sometimes, my day of relaxation gets a little annoying, while I swim, (or doze off on my beach towel) I worry about my wallet, phone and car keys… I worry they’ll be lost, or damaged by moisture, sand, or worse.. swiped by a criminal who could care less about ruining my perfect day. So how do you take everything you need with you, and still keep it safe? Check out the Beach Vault. A nifty little plastic bucket, with a twist… a real twist! 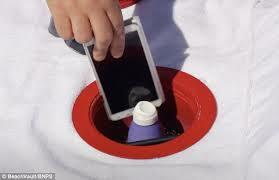 The bucket has been designed to screw into the sand, through the included beach towel, and the lid incorporates a rubber O ring to help prevent water and sand from getting to your stuff. Once “installed” the Beach Vault also hides your valuables from view, and even keeps your towel from blowing away. The Beach Vault was a Kickstarter project that did NOT make its goal, however the inventors of the Beach Vault are still intent on bringing it to market. They already have in place a manufacturing company to make the capsules, and if their funding goals are met, you could still have one in your hands by summer, if you want to watch the video, or buy/invest in the around 30 dollar Beach vault, visit thebeachvault.com, and don’t forget your sunscreen. This looks like they are way behind and only to beach use. I use the aquavault another product that i take to beach pool and amusement areas.